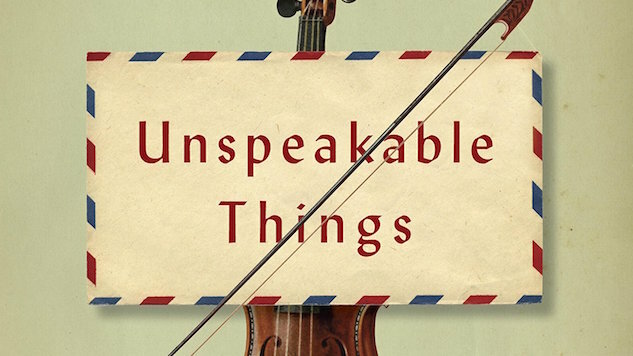 With refugees making headlines around the world, Kathleen Spivack’s Unspeakable Things proves remarkably timely. The lyrical novel explores the lives of European refugees during the later years of World War II, the efforts made within the diaspora to save lives back home and the struggle to release a traumatizing past. These elements combine to make Spivack’s novel at once jarring, magical and undoubtedly essential. Herbert Hofrat and his wife Adeline were prominent members of Viennese society before the war, enjoying an idyllic life with their sons David and Michael. But when the war forced them to flee, Herbert made an unspecified deal with the authorities that resulted in the loss of his son Michael in exchange for his family’s escape. Adeline was driven to hospitalization by grief and guilt, all while her husband, son, daughter-in-law and grandchildren lived in a cramped apartment in Manhattan. Herbert soon sets himself up as a fixer for fellow refugees, the kind of man who can pull strings to get family and loved ones safely out of Europe. But he’s surprised when his beloved second cousin Anna, or The Rat, arrives in New York City. The two were childhood friends and had maintained sporadic communication while The Rat was in Russia, where she married into the nobility before the fall of the monarchy. Hunched due to a spinal deformity, The Rat has a unique power to draw in other people, a lively sense of humor and a life story touched by immense danger. 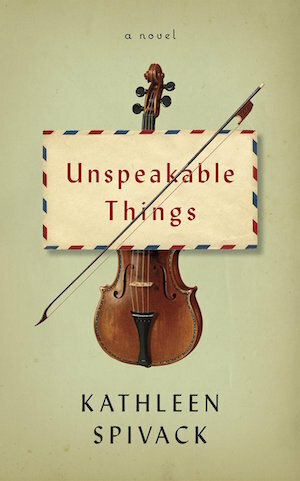 The other characters in Unspeakable Things’ complex web are a doctor who serves the Nazi regime, Herbert’s son David, who works as a translator in Washington, and a string quartet—all of whom lost a finger before fleeing to Vienna. It takes most of the story for each individual thread to weave together, building to the end of the war and a remarkable resolution. Spivack’s writing is moving, but her magical realism takes a few chapters to understand. Unspeakable Things jumps across decades, into memories, between continents and among characters. This can be disorienting early on, and it’s not always possible to establish the lines between reality and perception. The world she creates for her small segment of the diaspora is dark, defined by constantly looking back at traumas survived and losses endured. The handprints of lovers stay on the skin for decades, severed fingers develop their own habits while away from hands and ghosts mingle with the living. Once Spivack’s characters begin interacting, however, they form a community with a complex history. The magical elements of the story are then able to serve the plot as a whole, manifesting the deep struggles of each character. The past is a living and visible facet of the story, something to lean on as a crutch against the future. For Adeline, the ghost of her dead son keeps her trapped in a cycle of hallucination and rage, while The Rat is marked by a two-week love affair with Rasputin. Spivack maintains the perfect balance between revelation and secrecy. The book is at its most rich when focused tightly on the interior life of a character—or on the string quartet’s four characters. Their lives, values and pains come into sharp clarity through Spivack’s writing, yet she leaves much to the imagination. Through the final pages, words still remain unspoken and doors remain closed. The sense that these characters control how much is known about the lives they left behind builds tension that would otherwise become mere shock value. Even as the past looms heavily over each individual, Spivack allows glimmers of hope—the promise of escape, of purpose, of the ability to reconcile an anguished past with an unknown future. Spivack ultimately conveys the belief that things can never be the same, yet she hints that what is to come just might transform into something beautiful.